Do you know anything more exciting than finding out who you are ... where you come from ... where you are heading to? With its 78 cards, the Tarot deck creates a unique metaphor for the story of your life! Book your Tarot Card Reading today and receive the help you need! Everyone of us would like to know what our future looks like, or which decision to take in life! One of the most exciting ways to receive guidance from our Angels and all Luminous Beings who accompany us, the Tarot offers clear and precise answers to whichever question you may have! An ancient metaphysical tool, the Tarot helps reveal what is below the surface, hidden within your subconscious. Call 650 714 7536 for a one-hour Tarot reading with Genevieve and be amazed by the truth the cards can reveal to you! Or offer a Tarot reading to your loved ones and your friends! What a wonderful gift for a birthday to start the best new year in your life! While the 22 Major Arkana cards give us information on our Soul purpose, the 56 Minor Arkana cards deal more with our earthly experience, giving us precise information on how to best manage our daily lives. First, what is an "Arkana"? If you look up the word in the dictionary, you will find its meaning: a Secret, a Mystery. The ancient tradition of cartomancy for Divination goes as far back as the Egyptian, biblical and medieval times. It was brought into our modern times very specially through Marie-Anne Lenormand whose deck "Le Grand Jeu de Mademoiselle Lenormand", dating back to 1832, is still in use in the 21st century. - FIRE: The 14 Cards of Fire relate to Passion, Action and Creativity. Aries, Leo and Sagittarius are Fire signs. Fire relates to the color YELLOW and the realm of SPIRIT..
- WATER: The 14 cards of Water relate to Emotions, Love and Compassion. Cancer, Scorpio and Pisces are Water signs. Water relates to the color RED and the realm of the HEART. - CLOUDS: The 14 cards of Clouds relate to the element of Air, to the Mind, the Intellect & your ability to think, observe and respond to challenges. Gemini, Libra and Aquarius are Air signs. Air relates to the color BLUE and the realm of the MIND. - RAINBOWS: The 14 cards of Rainbows relate to the element of Earth, the Physical, your Health and your capacity to manifest Well-Being and Wealth. Taurus, Virgo and Capricorn are Earth signs. Earth relates to the color GREEN and the realm of HOME. The 22 Major Arkana cards reveal to you their deep archetypal and psychological significance while following a specific order that mirrors your life as it unfolds. After invoking the presence of our Angels and asking for their most loving support, we determine your exact question for your Angelic team of guidance. The more precise the question, the more precise your answer! We then shuffle and cut the cards to allow for your energy to mix with the energy of the cards. And when I have laid out the cards for you on the table, you let yourself intuitively pick the cards towards which you feel guided. Depending on the type of question you have, we use a certain set of lay out. And the reading begins! We have a full hour together to interpret the cards and receive your Angels' most loving support through channeling. Your Angels love this possibility to reach through to you! Your reading, whether accomplished in person, per Skype or on the phone, will be fully recorded and sent to you per email together with a photography of your cards. You will have the possibility to download the recording and listen again as often as you wish. Most everyone has made the comment of how amazed they were to understand some parts of their reading only once certain aspects of their life had unfolded. 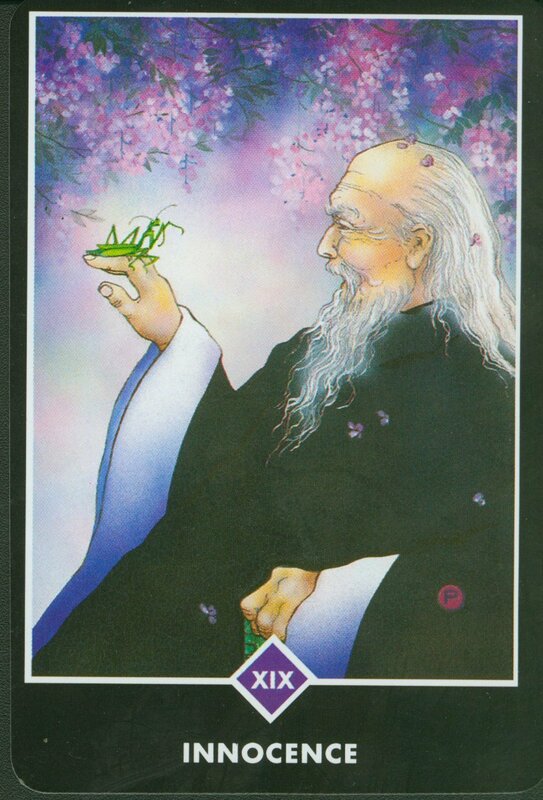 Just like revealed by the card of Completion, Card # XXI of the Major Arkana, the Tarot cards can show you the last piece of the puzzle that had been missing for you to experience Love, Peace, Joy and Abundance in your life!